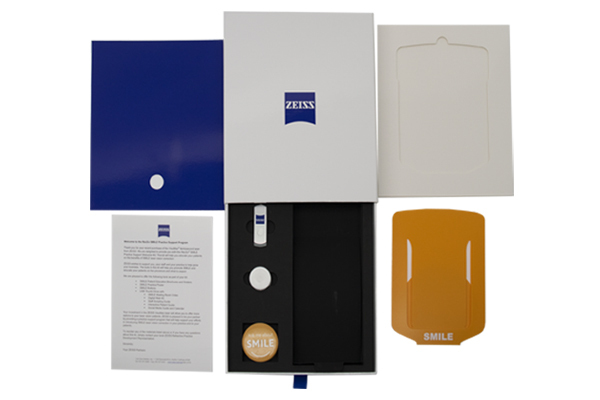 Zeiss, a major medical equipment and device manufacturer, needed a compelling sales support kit for doctors’ offices around the country to better educate healthcare professionals and patients about their new laser eye surgery equipment. 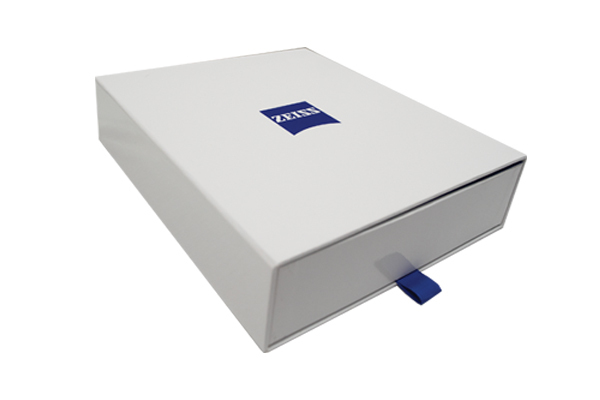 Americhip’s packaging engineers started with a clean, perfectly white turned edge box and matching slip case, adorning it with nothing but Zeiss’ striking navy blue shield logo and matching pull tab ribbon. We then designed a sleek foam insert to hold everything the office personnel would need to educate their patients about this procedure. 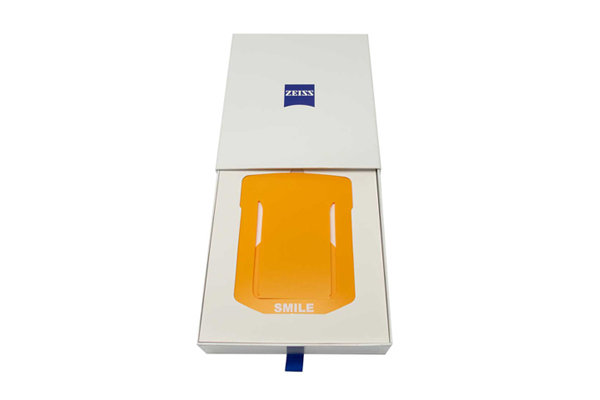 Finally, our sourcing team procured just the right merchandise to make the learning process efficient and fun: a printed jump drive full of training videos, educational brochures, custom buttons and a brochure stand to display the materials in office.